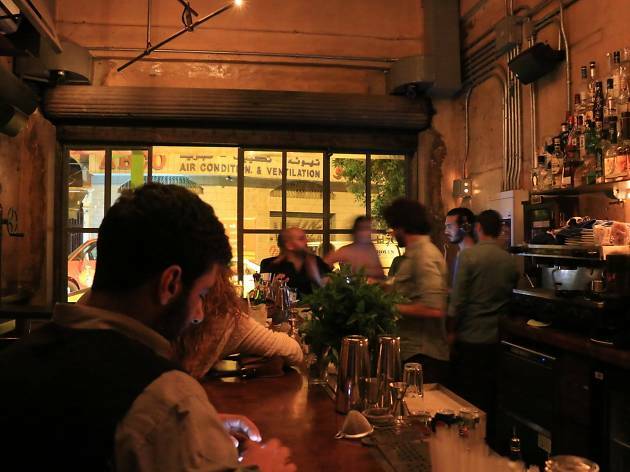 As the tide of gentrification pushes inexorably eastward, the vanguard of trendy lounges and hipster cafés has finally reached the formerly shabby industrial district of Mar Mikhael. The bars in Mar Mikhael, most of which line the busy thoroughfare of Armenia Street, now rank among the city’s most fashionable: this is where the city’s creative types and hip young things come to quaff cocktails to the strains of Nicolas Jaar on the sound system. 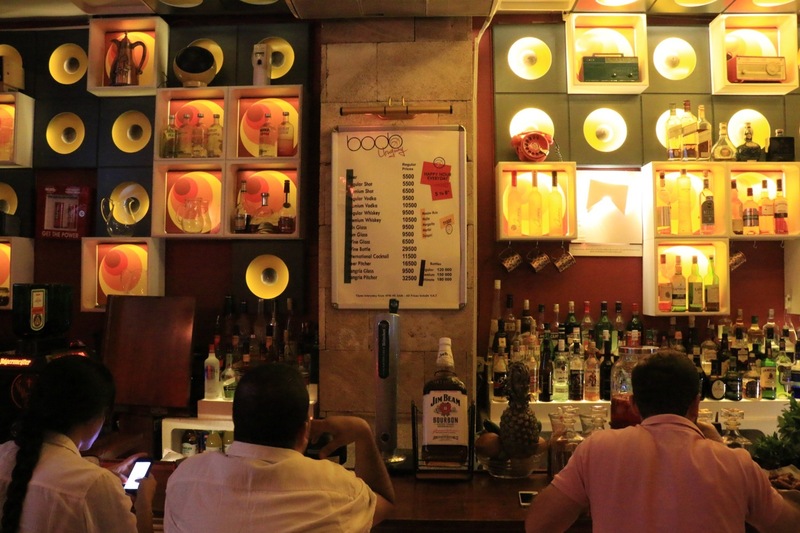 From the deliberately old-school Americana decor of Internazionale to the classic rock vibes at Woodstock, retro cool pervades the air in Mar Mikhael – so don your most ostentatious shutter shades and come breathe it in. 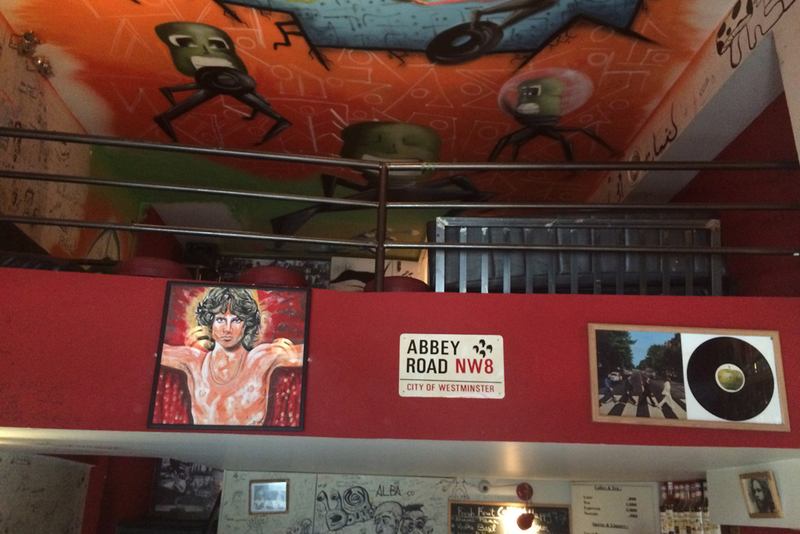 It’s unclear whether Abbey Road is supposed to be following a London theme or a Beatles theme or both (or, indeed, neither). Beyond the street sign hanging outside, little in the neutral decor suggests the Swinging Sixties, though you'll often hear John and Paul issuing out of the sound system. 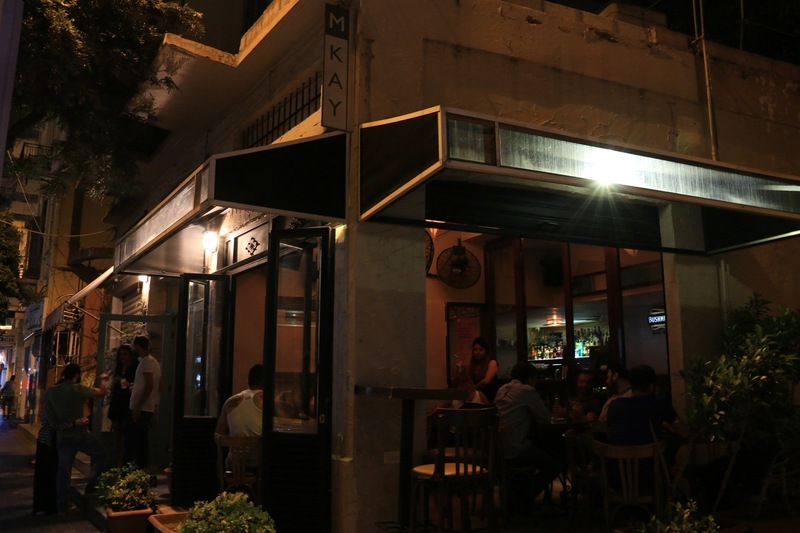 In any case, it's one of the most popular joints in Mar Mikhael – in no small part due to the epic Happy Hour, which runs for five hours. 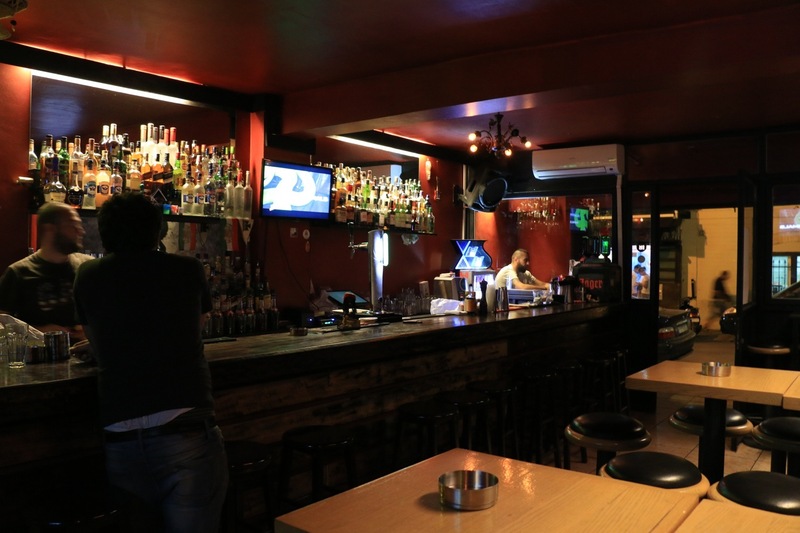 The bar is a bit cramped, verging on divey, but the atmosphere is always convivial and the young crowds routinely spill out onto the pavement outside. Highly recommended. 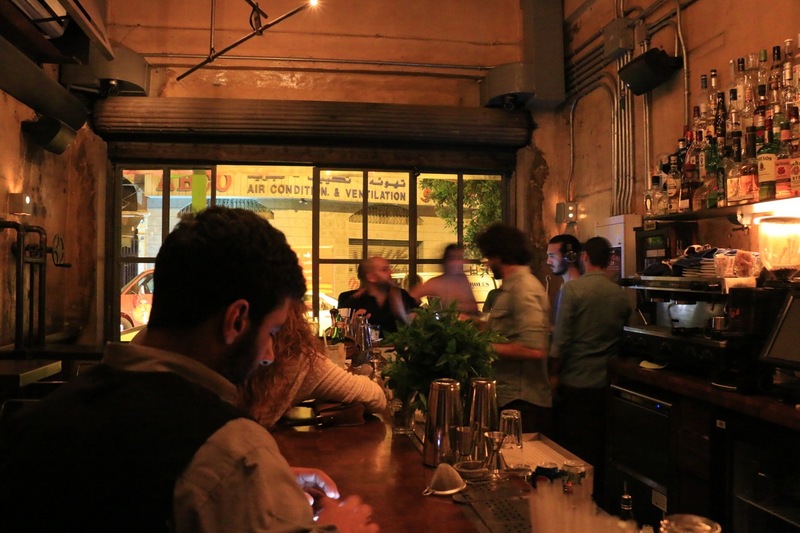 Where there's booze in Beirut, there's a Bodø. The runaway success of the chain speaks to its winning formula of comfortable seating, cheapish drinks, decent menu of burgers and salads and extended opening hours: this branch in Mar Mikhael generally stays open long after its competitors have called last orders (it's no surprise to learn that the bar takes its name from a Norwegian town on the Arctic Circle that never sees the end of the night in wintertime). 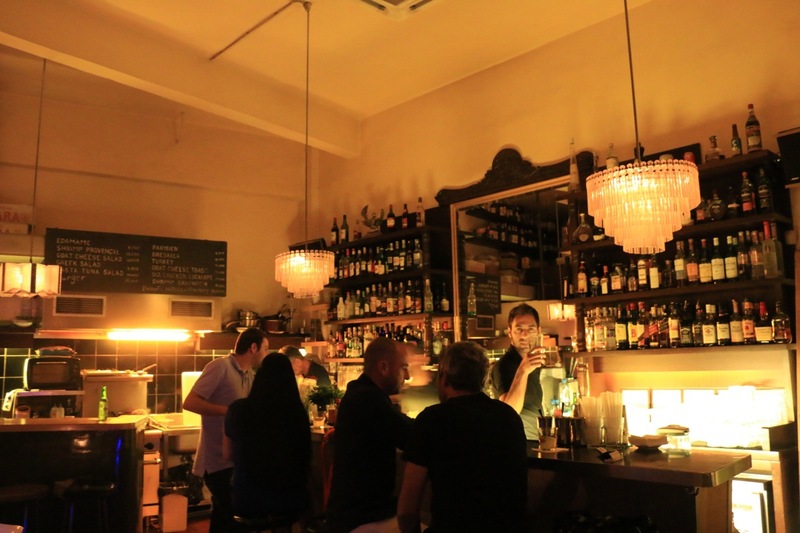 If you've been kicked out of a bar along Armenia Street – due to closing, or for less salubrious reasons – chances are you'll find a warm welcome here. 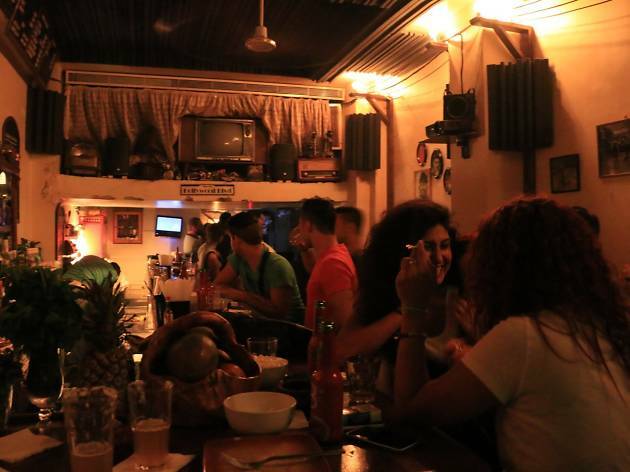 Tucked down an alley a short way off Mar Mikhael’s main thoroughfare, Cargo is worth the detour. The rounded wood-pannelled walls give the impression of stepping into a giant wine barrel, and the quirky design extends to the indoor vegetation and retro TV behind the bar. A good range of beers complements the decent selection of wines and cocktails (the Long Island Iced Tea is a standout). The DJ spins his trendier-than-thou playlists in the evenings, but dancing space is limited. With a hop, a skip and a twirl of the cane, Chaplin transports its crowd of hip young things back to the era when its namesake ruled the silver screen. With its two-tone beige and olive walls, dark wood furniture and carefully selected vintage photos and curios dotted about the place, this kooky venue does an impressive job of replicating the atmosphere of the silent era – but, needless to say, without the silence. It's a warm, convivial space, where the cocktails are cheap and the conversation flows as freely as the imported beer. 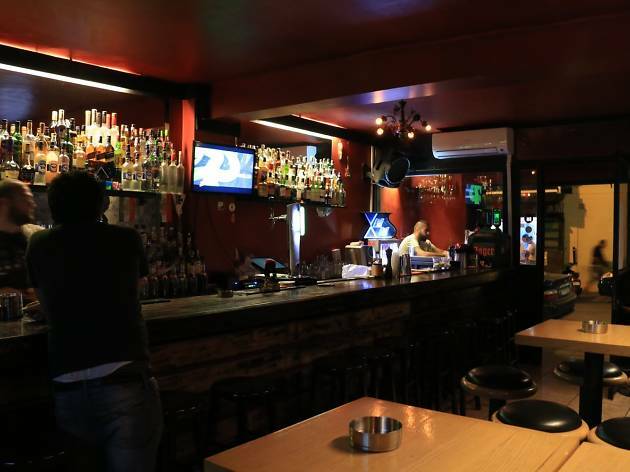 Snacks are strictly functional – the nachos and dubious "Turkey cheese" are there to line your stomach, nothing more – but in all other respects Chaplin stands out from the crowded Mar Mikhael scene. Internazionale defines hip in Beirut. It’s hipper than waxed moustaches, craft beer and catalogues of Nordic typography. 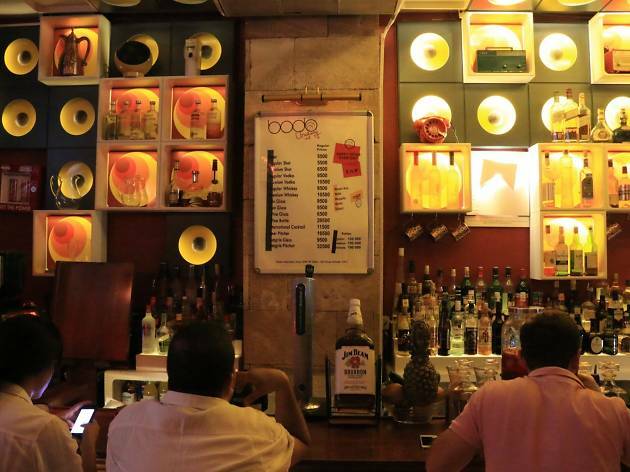 With its dark wood furnishings and wall-mounted photos of sharp-suited fashionistas, the sister bar of Gemmayzeh's Torino Express exudes a suave 1950s American chic at odds with the football associations of the name. The crowd is correspondingly cool: Internazionale attracts the higher end of the Mar Mikhael scenesters, and there's always a crowd of snappily dressed thirtysomethings thronging the street outside, where limited seating is also available. Food is limited to a few salads and sandwiches – nothing to write home about. 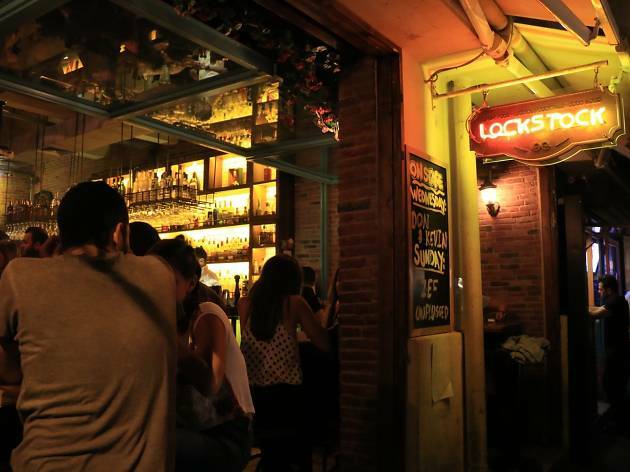 One of the iconic bars in Mar Mikhael, Lock Stock always has something going on. In the afternoon, it's a wonderfully chilled meeting spot for local flâneurs: its open front and exposed stone brickwork make for a pleasantly airy environment. Later on, the place fills up with hipsters keen to capitalise on the two – count 'em – Happy Hours, and the decent range of cocktails and international beers (not to mention the menu of succulent light bites and main courses). They're a receptive audience for the bi-weekly live sets, generally acoustic, held on Wednesdays and Sundays. There is very little pretension to Lock Stock, something which a fair few bars in the area are guilty of. You can't go wrong with it. 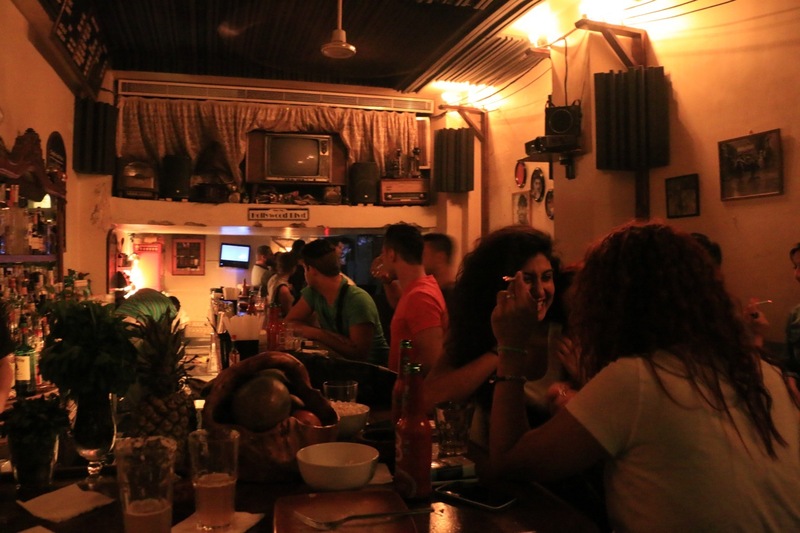 Mar Mikhael can be a hectic place, what with the crowds and the pumping music and the wanton drunkenness on display. 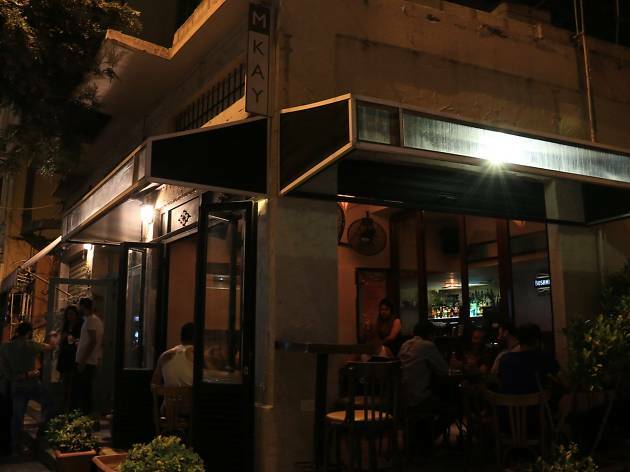 M-Kay is a small island of tranquility in the chaos: here, no one is trying to get you to dance and you don’t have to spend the night screaming to be heard. With its unadorned cream walls and plain wood furniture, it isn't out to impress anyone. 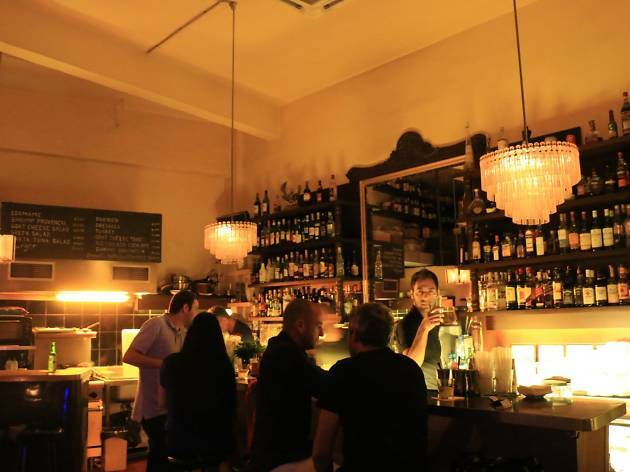 It’s a delightfully simple place with a delightfully simple ethos: stay relaxed, and keep on drinking (an objective that's abetted by the excellent Happy Hour prices). One of our faves in the neighbourhood. 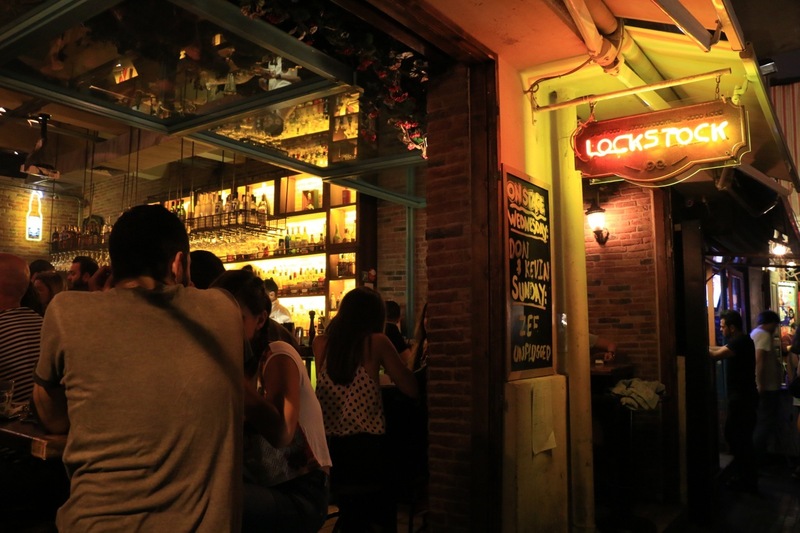 Tucked between the larger International and Lock Stock, Vyvyan's is a shining example of Mar Mikhael’s many snug little posh dive bars. Open early for strong espresso – best taken while leaning on one of its outdoor tables, Mediterranean-style – it’s a sweet spot from which to watch the busy Armenia Street go by. As evening draws in, the music gets louder and the bar starts funnelling off punters from the throng of revellers lining the pavements. 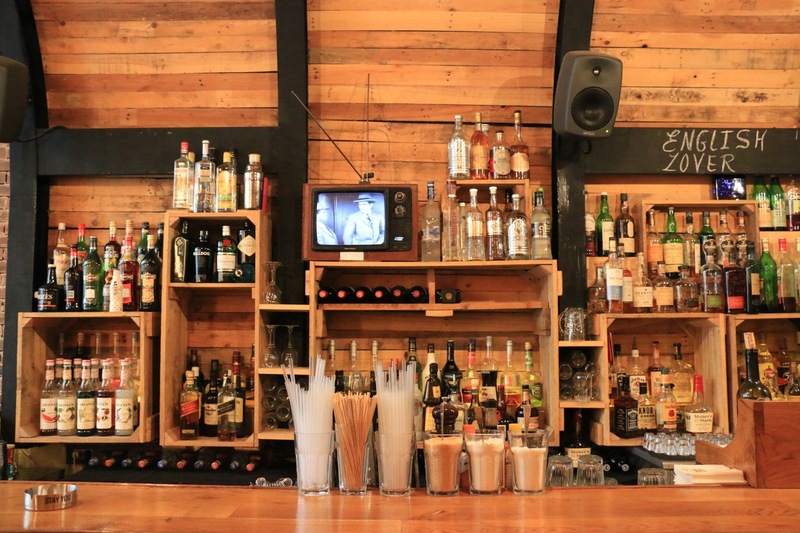 It competes with its more established neighbours by serving strong cocktails at relatively low prices. The staff from those very neighbours have been known to drink here after hours – praise doesn't come higher than that. 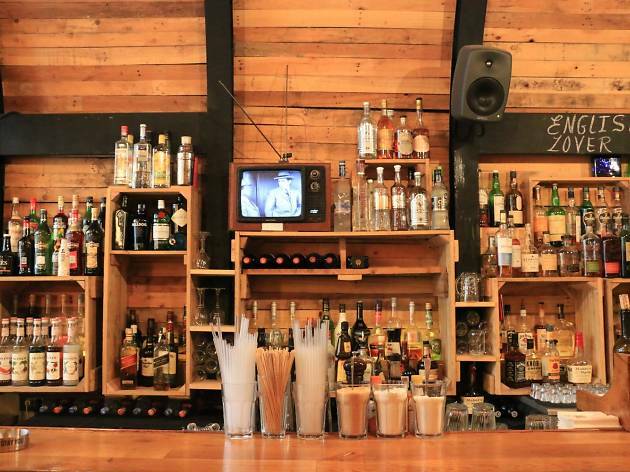 You can leave your wellies and body paint at home: this bar is a music festival in name only. 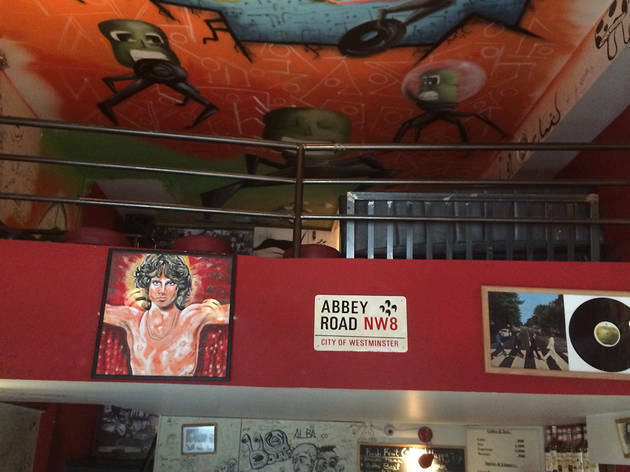 Channelling the languid vibes of late-sixties hedonism (but without the muddy fields and dodgy acid), Woodstock is the place to go if you like to sip your cocktails to a soundtrack of Janis Joplin and the Floyd. Bar the odd Hendrix poster, the theme doesn't go much further, and the sports on the TV shatter any lingering sense of authentic hippiedom. But the friendly crowd, good selection of drinks – including beer on draught – and tasty bar food ensure you won't leave disappointed.